Acute, chronic, persistent and other complex pain conditions can occur at any time – but it can also be managed, resolved and even prevented. Ketamine is an anesthetic developed in the early 1960s. It has a variety of medical uses, and is FDA-approved as an anesthetic. Ketamine has a remarkably safe track record. Who is a candidate for Ketamine infusion? Individuals diagnosed with Complex Regional Pain Syndrome (CRPS), Fibromyalgia, Chronic Pain, Migraines/headaches and/or Neuropathic Pain sometime do not respond well to standard conservative treatments. 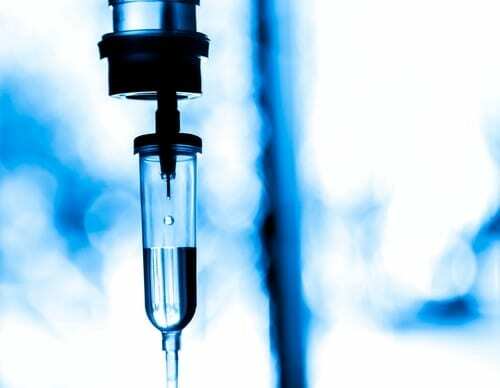 For individuals dealing with these medical issues, ketamine infusion therapy offers a new source of hope. How does Ketamine infusion work? Ketamine briefly blocks the NMDA receptor in the brain from being triggered. This receptor antagonism creates a unique condition in the brain which triggers a cascade of events and signaling pathways which allows for the central pain centers to “reboot”. While it does stimulate opiate receptors, much like morphine, Ketamine’s NMDA receptor antagonism at subanesthetic doses is thought to be much more important in the treatment of chronic pain and psychiatric disorders. What is a Ketamine treatment like? dissociative effect. Most patients describe this experience with words like relaxing and floating; however, others do find this sensation unsettling. Rest assured that you will be monitored at all times by a medical professional, and these sensations, as well as any other lingering side effects, start to dissipate shortly after your infusion is finished. Duration varies from patient to patient. In general, a series of multiple infusions provides longer lasting relief than a single infusion. For patients whose pain returns, getting additional infusions can often restore the relief. Relief is often fast and can be life-changing. But “fast” doesn’t always mean “instant”. Sometimes it takes several days to appear and it might take multiple infusions seeming intermittent at first. Every patient responds to treatment differently and results cannot be guaranteed. Davis, K. (2015, November 18). Ketamine: Facts, Effects, and Hazards.